Prior to settlement by Europeans, there was a Native American village located approximately where the clubhouse parking lot is now. In 1956, the 24 acres that would become a manufactured home community (red outline) was low-lying farmland with a homestead in the SW corner. Next door, to the north, was a dairy (the foundation is still there). 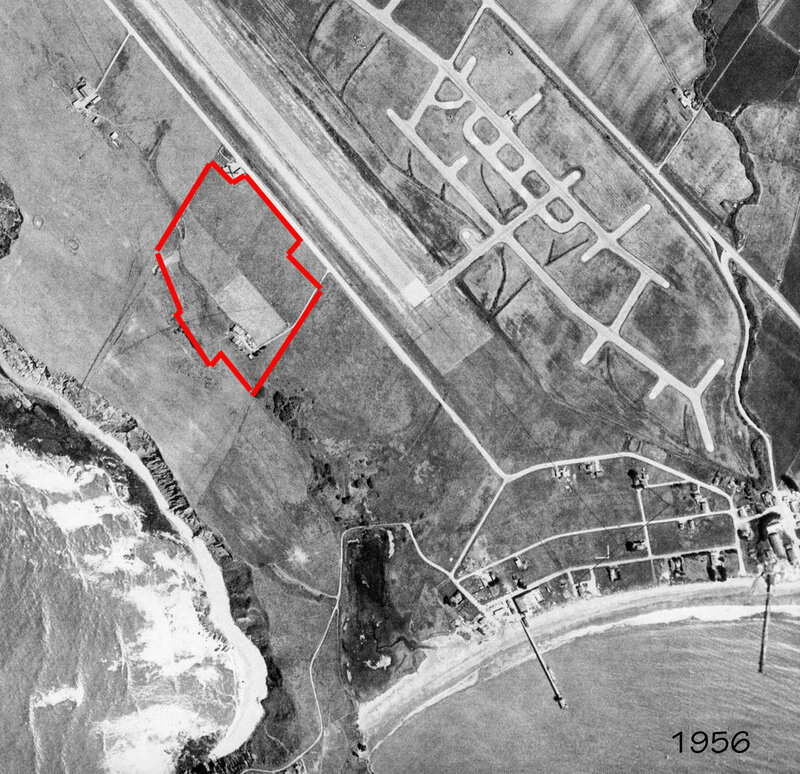 The airport had been built at the start of World War II, and then turned over to the County in 1947. Princeton was mostly undeveloped, and had private piers jutting out from the shoreline which was open to ocean waves, prior to construction of the outer breakwater 1959-61. There were no trees on the bluff. The 227-space community, originally called El Granada Mobile Home Resort, was built in the mid 60’s by local businessman William Thompson, who sold it in 1969 to the Galland family of Utah who owned it until 2004. 1956 aerial with red outline of current location of Pillar Ridge. Click image to enlarge. Post card image circa 1970. There was a long troubled history between homeowners and the previous park owner 1969-2004. In the 80’s, the residents organized a class action lawsuit over rising rents and failed maintenance promises. The homeowners prevailed with a multi-million dollar settlement, and extensive utilities, drainage, and road renovations done in 1990. In 2000, the residents again organized over rising rents, and management and maintenance issues (info sheet). This 4-year struggle culminated in the Board of Supervisors adopting a mobilehome rent control ordinance for unincorporated areas of San Mateo County in 2003, and the subsequent agreement by the park owner in 2004 to sell to the homeowners’ chosen non-profit, Millennium Housing. The original name El Granada was always confusing due to the park’s location in Moss Beach, some distance from the actual town of El Granada. In 2004, by a vote of the homeowners, the community name was changed to Pillar Ridge and a new entry sign installed. This symbolized the start of a new era of non-profit community ownership, where homeowners have a voice in how our community is run.